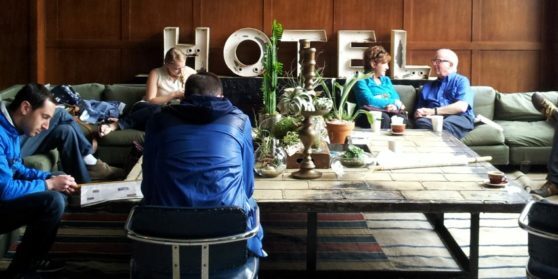 Ace Hotel Portland is in the old Clyde Hotel building in downtown Portland. We’re a block from Powell’s Books, a block from the Pearl District, and an easy stroll to just about everywhere else. Portland takes public transportation pretty seriously— you can hop a train or a bus and get most places across the river in no time at all.